Located on our 4th development, The Palm Bistro is our flagship restaurant. Serving a delicious mixture of European & Thai cuisine. Open everyday except Monday. 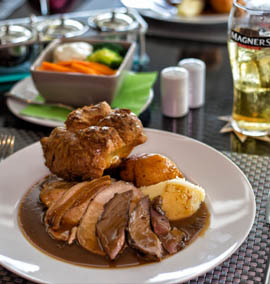 Sunday they serve the best roast lunch in Hua Hin and are well worth a visit.